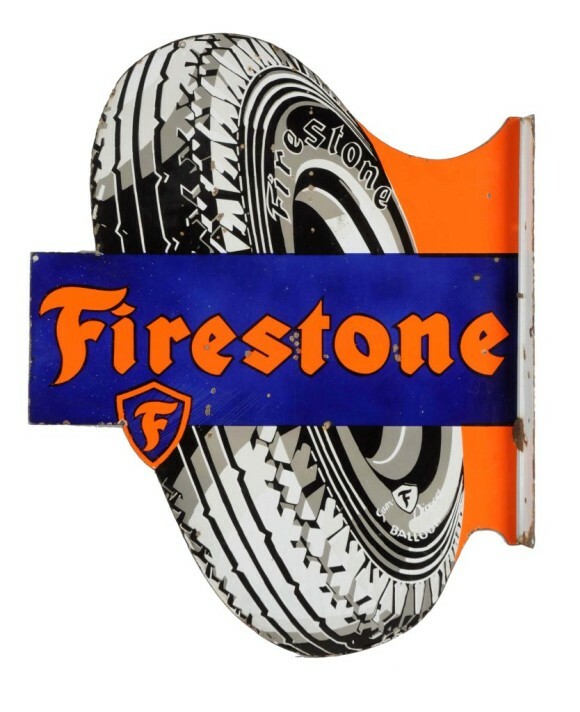 This attractive Firestone Baloon Tires Flange sign is orange and dark blue. The die cut shows a tire in great detail. Overlayed on the tire is a blue rectangle that contains the orange “Firestone” logo and their small crest below. The sign is 36″ tall and 28″ wide.